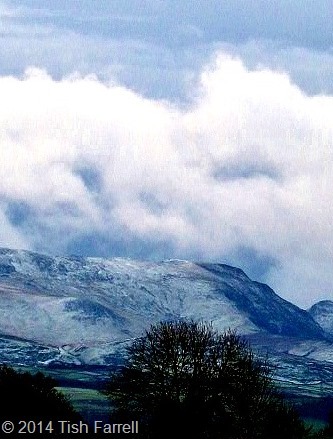 This photo was taken two Christmases ago on the island of Anglesey (Ynys Môn) in North Wales. The island saw the last stand of the Celtic druids, who were defeated there during the Roman conquest of Britain. This edited image, with the faint glow of light around the dark silhouette, suggests to me the lingering Celtic spirit – quiescent and contained now, but still purposeful. Related: For more of the Druid’s last battle see my earlier post Island of Old Ghosts. 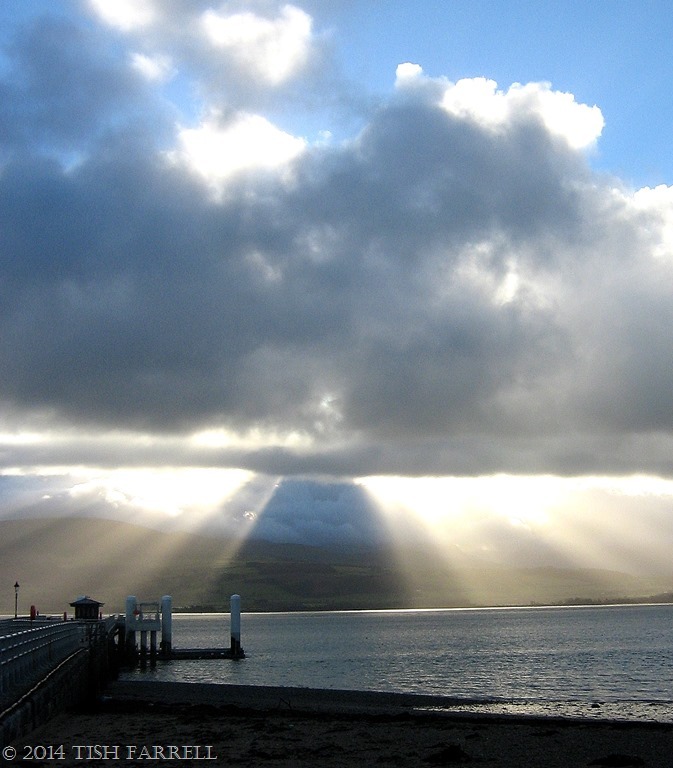 This awe-striking effect of cloud and sunlight seems to be a feature of Menai Strait, the narrow stretch of tidal water between the island of Anglesey (Ynys Môn) and the North Wales mainland. This photo (looking towards the mainland) was taken around midday in December last year. The cloud had banked so thickly it seemed we were heading into night. Over the previous days there had been horrendous winds that had torn across the island, ripping up trees and closing roads. And then quite suddenly the sun broke through – a moment of luminous tranquillity after all the storms. Anglesey has a long and dramatic history extending back to at least the Neolithic. At the start of the Common Era it was also the stronghold of the Celtic peoples’ priestly caste, the Druids. These warrior mystics were slaughtered in a terrible battle by the army of the Roman Governor of Britain, Suetonius, which in 61/62 AD bore down on them across this Strait. You can read more about it in Island of Old Ghosts. 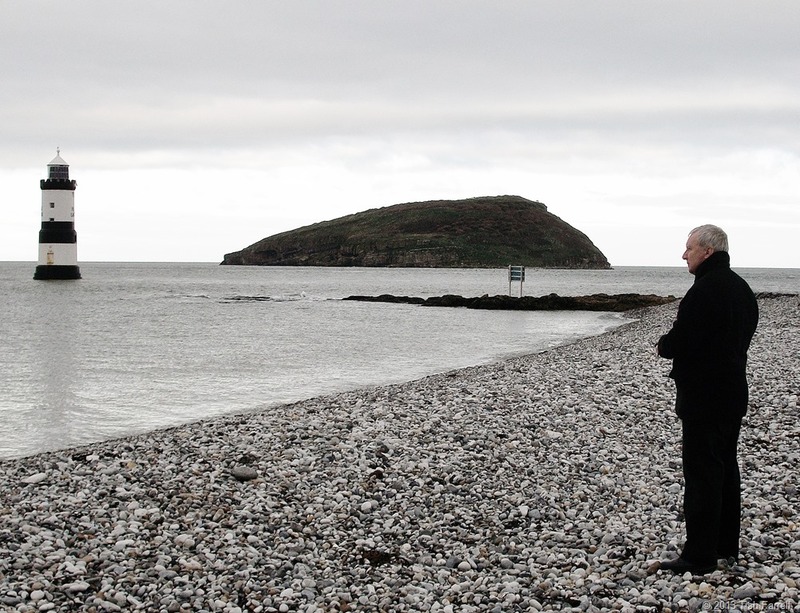 There are ancient, bloody-minded spirits here on Ynys Môn, the island where the Celtic druids made their last stand during the Roman conquest of Britain. This place, otherwise known by its Viking name of Anglesey, lies just off the coast of Wales, the narrow Menai Straits between. 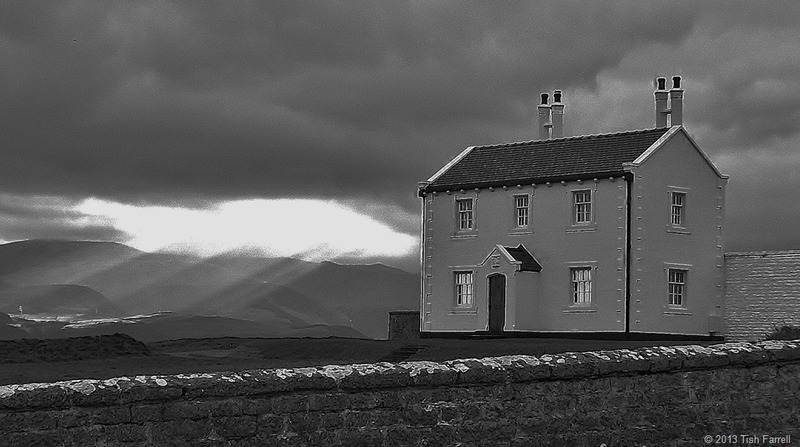 One Christmas morning we came here to Penmon on the island’s north-east tip. The light was very strange that day, darkness already gathering at noon. 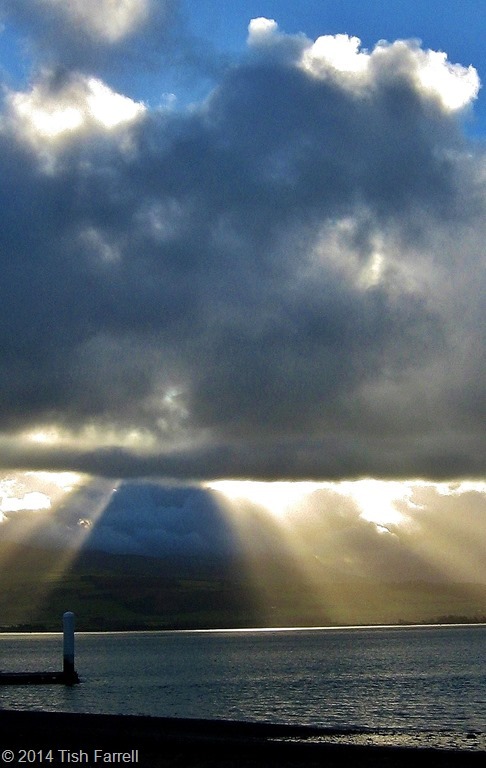 Then across the Straits, above the mainland, the sun bore down like a searchlight. 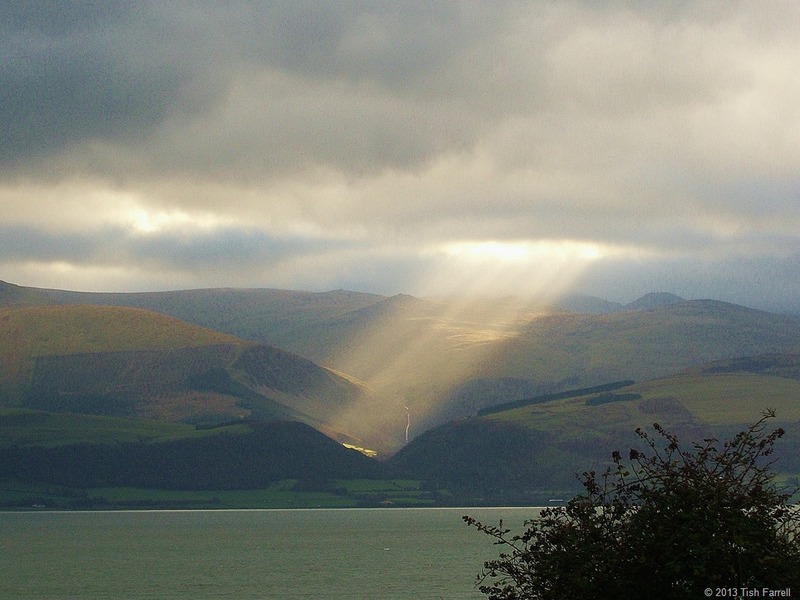 Penmon is the site of an early Christian monastery, founded in the 6th century by St Seiriol, but the roots of Ynys Môn’s sacred, and now mysterious practices, are far older than this. Across the island there are Neolithic and Bronze Age chambered tombs, and then there is the spectacular Celtic Iron Age hoard from Llyn Cerrig Bach, a seemingly sacrificial lake offering of weapons, chariots, slave chains, and highly crafted regalia. The Romans claimed that in their groves the druid priests made human sacrifices, but little is known of these people beyond the gory account in the Annals of Tacitus. What is known is that the Romans conducted a ruthless campaign against the Celtic clans of Wales. 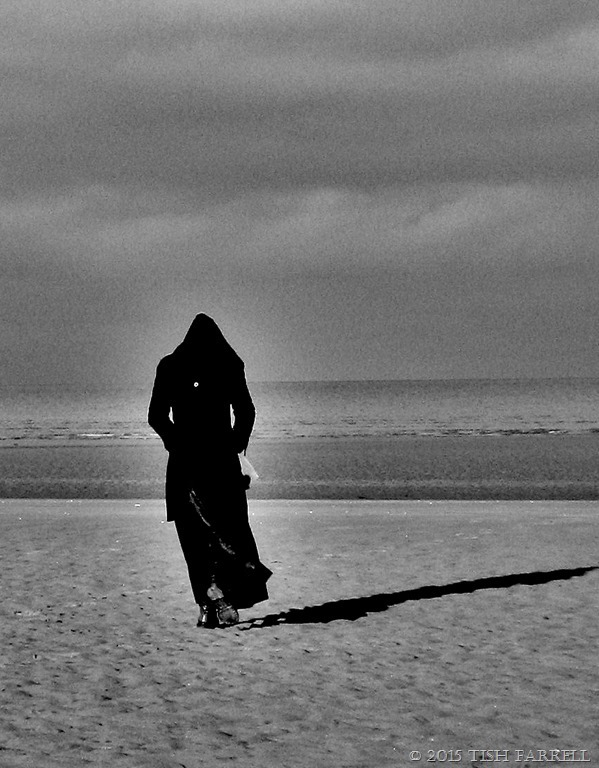 Anglesey, with its powerful druid priests, was the last bastion of British resistance. Here is how Tacitus describes the Menai Straits battle of nearly 2,000 years ago. Suetonius Paulinus, Governor of Britain, was in command. He therefore prepared to attack the island of Mona which had a powerful population and was a refuge for fugitives. He built flat-bottomed vessels to cope with the shallows, and uncertain depths of the sea. Thus the infantry crossed, while the cavalry followed by fording, or, where the water was deep, swam by the side of their horses. “On the shore stood the opposing army with its dense array of armed warriors, while between the ranks dashed women, in black attire like the Furies, with hair dishevelled, waving brands. All around, the Druids, lifting up their hands to heaven, and pouring forth dreadful imprecations, scared our soldiers by the unfamiliar sight, so that, as if their limbs were paralysed, they stood motionless, and exposed to wounds. Then urged by their general’s appeals and mutual encouragements not to quail before a troop of frenzied women, they bore the standards onwards, smote down all resistance, and wrapped the foe in the flames of his own brands. A force was next set over the conquered, and their groves, devoted to inhuman superstitions, were destroyed. They deemed it indeed a duty to cover their altars with the blood of captives and to consult their deities through human entrails. Annals of Tacitus translated by Alfred John Church and William Jackson Brodribb 1884. XIV chapters 29-30. You can read the original work by following the link.